I express myself through music, photography, artwork and video. 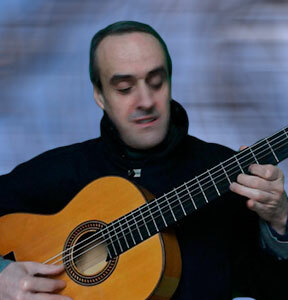 Born in France, I started playing guitar at 15 and developed my own style which is influenced mainly by Spanish, Oriental and Gypsy music. I released my first solo album in the early 2000s after moving to London. Ever since, I have recorded at least one album every year. In 2009, I started exploring visual arts and since then I have produced a variety of works including photography, digital artwork and art video. The videos combine visual art with my own musical compositions. This approach has opened new horizons and as my palettte is expanding my life is too! Feel free to contact me if you would like more information regarding upcoming events or my artwork.